Meet Artec and our Mexican partner Century 3D at the TECMA machinery and tooling expo, where more than 200 companies will present their solutions for CAD, automation, metrology and more. We will bring 3D scanning market leaders Artec Eva and Space Spider to the show so attendees can see for themselves how these hi-res portable scanners capture even the sharpest edges and very tiny parts of small and medium-sized objects to produce high-quality 3D mesh models. Either device can be integrated into an automatic scanning system, reducing user involvement and scanning time to the minimum and eliminating human error. 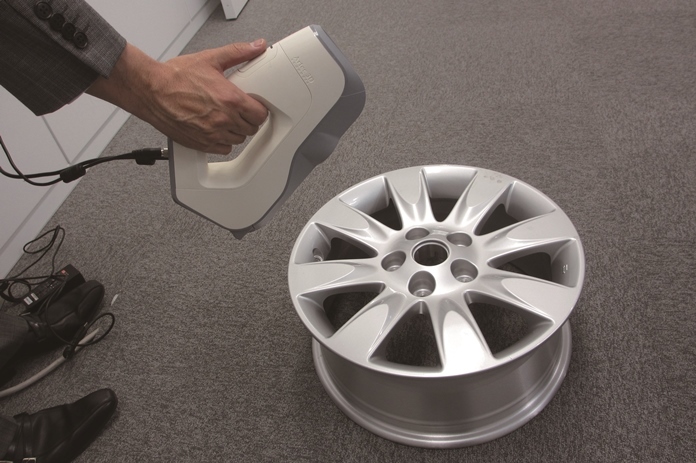 Thanks to their superb precision, reliability and ease of use, Artec 3D scanners are the preferred choice for engineers in a variety of areas, including aerospace, the automotive industry and metalworking. The data collected by the scanners is processed in Artec Studio 11, which is intuitive software that helps you align, fuse and edit your scans with efficient tools and in a very sleek interface.